We are thrilled to welcome Dr. Mónica Feliu-Mojer as our SWAC Science Communication Certificate Series Keynote Speaker for 2018. 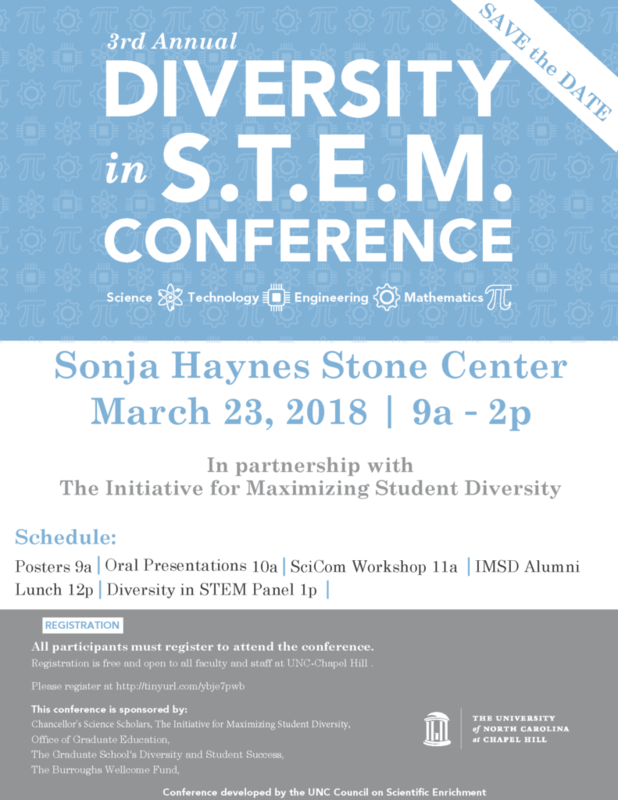 Mónica will speak at the Diversity in STEM Conference on March 23rd from 11:00 to 11:50 am at the Sonja Haynes Stone Center. The conference runs from 9 am to 2 pm. We highly encourage you to stick around and enjoy some of the other events, but Mónica’s keynote address is the only requirement for the Certificate Series. Please note: You should register to attend the conference here, even if you are only attending the keynote. SWAC will have a separate sign in during the event, so please don’t forget to sign in to receive credit towards the SWAC Science Communication Certificate. As a reminder, you must attend 4/6 events to earn the certificate. Mónica grew up in rural Puerto Rico, catching lizards and with a cow in her backyard, which sparked her interest in all things biology. 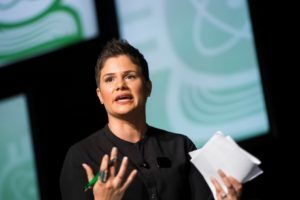 A PhD scientist-turned-communicator, she uses online technologies, storytelling, community-building, and cultural relevance to make science more accessible and inclusive. Her work focuses on empowering individuals, both scientists and non-experts, through bilingual science outreach, communication, education, and mentoring. Mónicais the Director of Communications & Science Outreach for Ciencia Puerto Rico, a non-profit organization democratizing science, supporting the career development of young scientists, and transforming science education and training in Puerto Rico. She is also Associate Director of Diversity & Communication Training for iBiology, a non-profit organization that produces and distributes free online videos about research, the process of science, and professional development featuring the world’s leading biologists. Mónica earned her B.S. in Human Biology at the University of Puerto Rico in Bayamón, and her Ph.D. in Neurobiology at Harvard University. You can find her on Twitter: @moefeliu. We hope to see you at our other SWAC Science Communication Certificate Series events! Editing plays an important role in shaping how we as scientists communicate our stories. If you have ever wondered how to be a more effective editor, or how you would even become an editor, you will want to join us as we hear from Lakshmi Goyal, Editor of Cell Host and Microbe. Lakshmi has been an editor with Cell Press since 2001 and has many insights to share! Come hear her interactive seminar on how she got her start in editing, what a typical day as an editor looks like, and important lessons she has learned throughout her successful career. Some science stories are better told using art. Join us for a workshop showcasing the use of different types of art media to convey science to broad audiences. More details to come. This year, we are putting a spin on our traditional blog writing workshop with a theme on storytelling. Why is storytelling important in science communication? How does one tell a good story? How can we use our own stories and experiences to communicate science beyond traditional reporting? During this interactive workshop, participants will not only go over best writing practices, but learn how stories can play a big role in their own work, produce a story-based blog post, and have the option to publish on SWAC’s blog The Pipettepen! New: Special Summer Event! SWAC will host 1 event in the summer months that will count towards the required attendance. More details to come. If you are only one event short of earning the certificate, keep this in mind! In my fourth year of graduate school, I decided that I did not want to pursue a career in basic research. Once I began exploring different career options at networking events, job fairs, TIBBS-sponsored events, and through reaching out to people at companies in the Triangle area, I discovered regulatory medical writing. 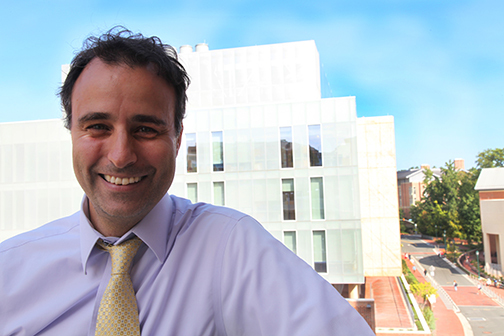 I had never heard of regulatory writing before, but the prospect of working to assist companies overcome the hurdles associated with navigating clinical trials, gaining FDA approval, and bringing a potential therapy to market such that it could help improve the health and lives of patients, sounded both challenging and rewarding. Without networking and connecting with people in the industry, I would have never considered translating the problem solving and communication skills I’ve acquired in graduate school into anything other than basic research. This newfound career passion, along with the relief I felt at identifying what it was I wanted to do with my forthcoming PhD, inspired me to delve into the world of science writing. Science writing is a broad term that encompasses myriad career options, all of which involve interpreting, organizing, and disseminating high-level scientific data and concepts in a way that inspires trust and understanding between scientists and broad audiences. I would like to facilitate this career discovery process for others at UNC who are interested in writing and communication, and provide easier access to some of the resources that I initially struggled to find for myself. As Vice President and co-founder of the newly formed Science Writing and Communication Club (SWAC) at UNC, I am extremely pleased to be able to invite science writers and communicators to speak to UNC graduate students and postdocs at our monthly seminar series. Throughout the year, SWAC will host speakers with backgrounds in various science writing disciplines, including regulatory affairs, journal editing, educational science writing, marketing, etc. I am excited for people to explore these different career trajectories and have the opportunity to connect with people in the industry. We will be kicking off our seminar series with Lauren Neighbours, PhD, RAC on Wednesday, April 29th at 5:30 PM in Bondurant Hall, Rm. G074. Lauren earned her PhD from the UNC Department of Microbiology & Immunology where she studied the role of Toll-like receptors in arthritogenic alphaviruses, in the lab of Mark Heise. During her time in graduate school, Lauren was involved in several science writing activities, including editing for both American Journal Experts and the Journal of Clinical Investigation, in addition to writing articles for UNC Endeavors. Currently, she works as a clinical research scientist at Rho, Inc, a contract research organization (CRO) in Chapel Hill that guides companies through the clinical trials process, FDA approval, and marketing new therapies. If you are interested in learning more about working for a CRO and regulatory medical writing, please attend SWAC’s inaugural seminar! This meeting is open to both members and non-members. Additionally, if you’d like to stay updated on future SWAC seminars, please follow SWAC’s blog posts or connect with us on Facebook, Twitter, or LinkedIn! If you have an idea for a blog article, please visit our website and contact us!